There is nothing more frustrating than spending hours on perfecting your polished nails, only to have them start chipping in a day or two. As much as we love nail polish, even seen as a necessity for some of us, the one unavoidable issue is learning how to make the nail polish last or at minimum delay them from chipping away. It's just unacceptable to see however minor chip just right after we had them done. How to make nail polish last? Here are 10 tips for a longer lasting nail polish. With longer nails comes greater responsibility, and more room for problems. The tips are more exposed in longer nails and naturally you ended up mindlessly abusing it a lot more (peeling off stickers, etc.). If your nails are shorter, preferably shorter than the fingertips, the finger will instead be the one put in harm's way of your activities rather than the polish. For every dings and smudge during dry time, the weaker your hard worked home manicure is going to end up. One of the best ways to tell if the polish is dry is to have the face of both pinky nails gently touch each other. If you could pull them apart without feeling a slight tackiness, the nails are dry and ready to go. But otherwise, they probably going to need more time. Good nail starts from healthy cuticles. Pushing back your cuticles might lead to a crack polish from the base, which will spread out and leads to chipping. However, cuticle skin can interfere with the base coat when you are changing or renewing the polish. Instead, you can loosen the tagged edges with a touch of softening cream, then gently nudge back those cuticles. There's no basis that makes wet fingertips a better surface for applying nail polish. Salons and manicures do them for pampering reasons. It can instead have a negative effect. Soaked fingernails absorb water, puffing them up temporarily, then revert back to their original shape once the water evaporates. This expansion and contraction end up causing a series of cracking, peeling and unwanted chipping of polish. Dry your fingertips well for a longer lasting nails. If you have the question of how to make nail polish last, this is the most accessible tip for you. When you are washing the dishes or cleaning your house, use gloves to protect your manicure (or minimize the damage). Dish soap and water can dry the nail polish material, causing it to lose its shine and more likely to chip. Wear a pair of rubber gloves to prevent this. Salons used ultraviolet lamps to get the polish dry faster, but at the cost of it chipping faster. In fact, nail polish can take around 12 hours before fully dried and harden, intense heat during that period could negatively affect the curing process. Air dryer, which blows cool air, is recommended for quick initial drying. Afterwards, avoid contact with the hot or warm environment, which includes washing hands (use cool water), hot showers, saunas or using your warm breath to blow dry. Hand sanitizer isn't just the perfect solution to your germ problems, it also get rid of your manicure. Hand sanitizers contain alcohol, which thins out the topcoat and fading the colors away (which makes it an excellent polish remover too). Body and facial scrubs contain exfoliators, which will not only remove the top skin layer, it will also remove your beloved polish. Stick to alcohol-free lotion (general rule, no fragrance equals no alcohol) to prevent chaffing or drying, and wash your hands using mild antibacterial soaps. The polish wouldn't stay as long if the canvas itself isn't healthy. If you are having a problem with breakage, peeling, ridges and other nail problems, fix them first and the manicure will latch on for longer. Include nail strengthener or ridge filler for your manicure session. Don't forget to make sure your nails are always at its peak condition in your beauty routine. Thick nail polish will peel off easier since you are essentially piling it the polish over more polish. Avoid overloading your nails with the polish with thinner strokes. This is also the technique to avoid bubbles in a new bottle of polish. While you can add a drop or two of polish remover to thin it out, the result will be a weaker bond between your nail and polish. Then you will end up with the polish chipping earlier than it should. This is one of the rookie mistakes when it comes to nail polish. Don't forget to seal the edge of the nail when applying the top coat. 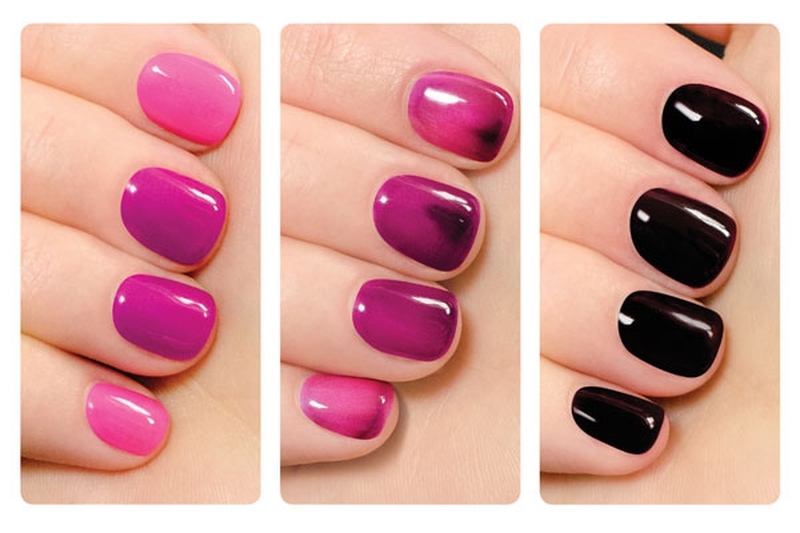 Your nail edges receive the most brunt of your nail polish beating. Sealing it will reduce the damage it takes with a good extra layer of clear polish. Server responsed at: 04/25/2019 2:27 a.m.